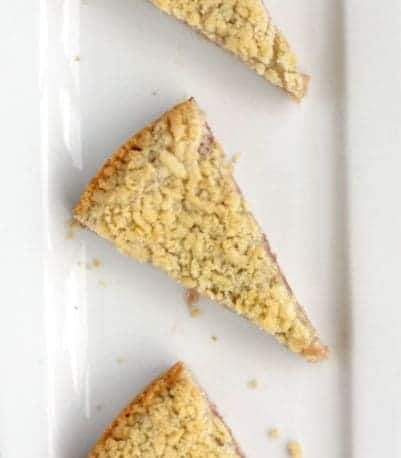 These rhubarb cardamom shortbread bars are flavorful and perfect for a brunch or breakfast event. Are you a rhubarb lover or hater? I’m firmly on the “love” side of the equation. I posed the question on my facebook page and surprisingly (sort of), more people seem to love it than hate it. Yay! My mom makes a rhubarb cream pie that is to die for. These rhubarb cardamom shortbread bars come in as a close second. The cardamom pairs perfectly with the tart rhubarb and the sweet shortbread. Great with coffee, and if I was a tea drinker, it would probably be even better with tea. Funny story about this shortbread. I was adapting it from PBS.org, and totally spaced out on my butter measurement. I momentarily forgot that that one cup of butter equals two sticks. I swear having two kids turns your brain to mush. Or maybe I’m just so used to doing my own thing in the kitchen that I forgot how to follow a recipe. Yeah…I think that must be it. So anyways, I’m mixing this dough and thinking that it looks really dry. I look back to the recipe and start hitting my head against the wall when I notice my mistake. Do I bake it and see what happens? Or do I dump it and start over? Missing a WHOLE STICK of butter is kind of a big deal…right? I decided to cross my fingers and throw it in the oven and I turned out fantastic! Such a happy surprise! Didn’t have to waste any dough plus I saved myself about 1,349,340,930 calories (give or take). Win! 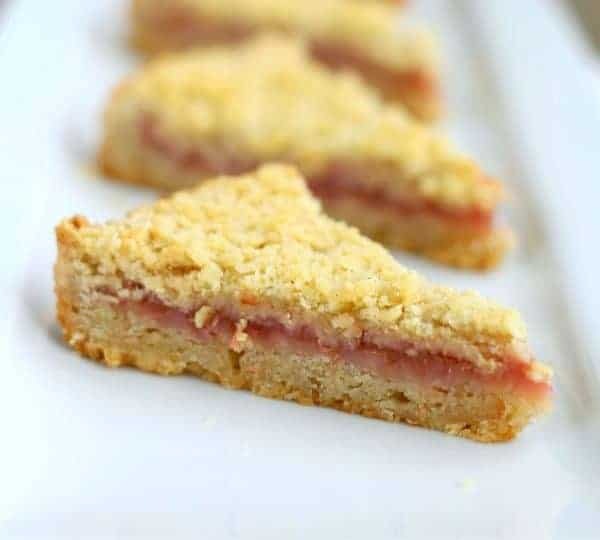 These rhubarb cardamom shortbread bars are flavorful, summery and perfect for a brunch or breakfast event. For the dough: In a large bowl, stir together flour, baking powder, cardamom, and salt. In the bowl of a stand mixer, cream together butter and sugar until fluffy. Add egg yolks and vanilla extract and mix until well combined. Gradually add in dry ingredients while mixer is on low until combined. Will be crumbly. Pack dough into two balls, one which is slightly smaller than the other. Wrap each ball separately in plastic wrap and freeze for at least an hour. While the dough is in the freezer, prepare the filling. Combine all but vanilla in a small saucepan over low heat. Cook, stirring frequently, until rhubarb is softened and breaks down. This should take about 10 to 15 minutes. Remove from heat and stir in vanilla. Place in a bowl to cool (you can stick it in the fridge if necessary). Preheat oven to 350 degrees F. Prepare a 10-inch springform pan by greasing or spraying it. Using a box grater, grate the larger ball of dough into the springform pan (using the largest holes). Pat down gently to form the bottom crust. Spread rhubarb filling over the bottom layer, leaving a border of about a half inch around the edge. Then grate the smaller ball of dough over the top. Pat down gently if necessary. Bake until golden brown, about 30 minutes. Cool completely before slicing and serving. Verdict: These were so good! I was thankful I left a stick of the butter out. That way I didn’t feel so badly about eating ridiculous amounts of these bars. 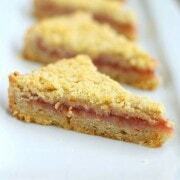 Husband’s take: He doesn’t like rhubarb but he loved these rhubarb cardamom shortbread bars! 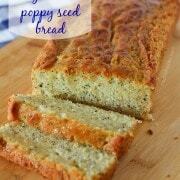 Difficulty: Slightly time consuming to grate the dough, but it gives it a great texture. Other than that, easy! Looking for more bars for your sweet tooth? 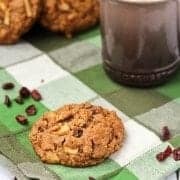 Try: Cinnamon Toast Crunch Bars, Nerds Rice Krispie Treats, Red Velvet Gooey Butter Bars, Meyer Lemon Poppyseed Bars, Blackberry Blueberry Crumb Bars, Black Bean Brownies, No Bake Peanut Butter Bars, Orange Creamsicle Cookie Bars, or Vanilla Bean Cookie Bars. Oh my! I absolutely adore rhubarb. I always default to a rhubarb custard pie that my family has been making for yeeeeears when I come across rhubarb, but this looks simply wonderful! I LOVE creative shortbread bars! Oh heavens, these look amazing! 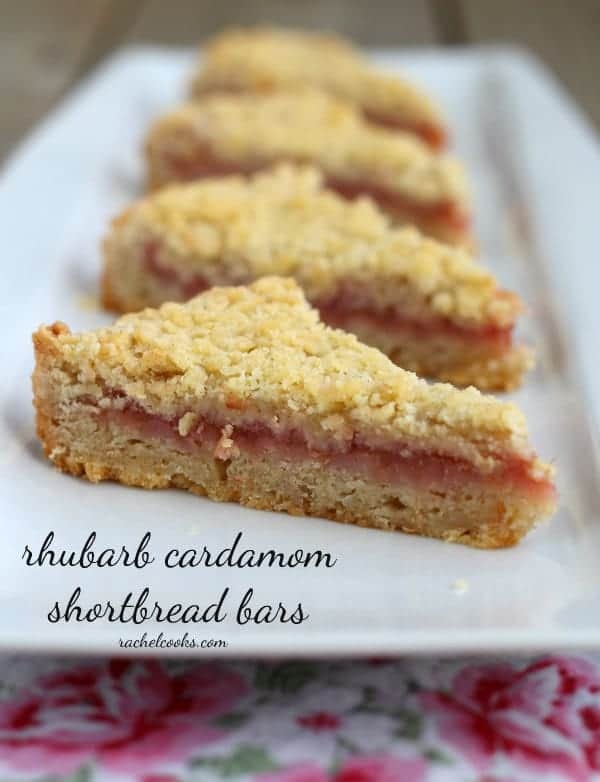 Shortbread is one of my favorite foods ever, and I love the addition of the rhubarb. YUM! I love rhubarb and remember picking in from my grandparents garden and dipping it in sugar. I also love the flavor of cardamom! I am going to need a whole pan of these. Thank you :) Pinned! I love rhubarb and this combination is interesting!! I’m a big rhubarb fan – love the idea of the combination with cardamom. These are awesome. I love the cardamom/rhubarb combo. I’m drooling! Lover *raises hand* – back when we lived in Minnesota, my neighbor had rhubarb growing like crazy in his front yard. He considered it a weed and hated it, so he gave me free rein to pick it whenever I wanted. I win. These bars are great! these sound so fancy! interesting technique with grating the dough…bet they are super flaky & delicious, even though they are low on butter. yum! I have rhubarb in my fridge right now and am looking for something to do with it. These look lovely!! 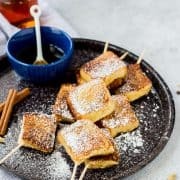 I already had breakfast but I could really go for these as a second breakfast! :) YUM. Rhubarb <3 FOREVER! Cardamom is a fun twist, AND you saved me a stick of butter? I'm in love! So pretty! Love the look of these!